Loads of beautiful sea creatures await you in the Europe's largest shark tank! After your breakfast, you will be picked up near your hotel for your tour to the Palma Aquarium, which is located near Playa de Palma. In Palma Aquarium, you'll have about 6 hours of free time to watch the different ocean worlds with the shark tank, the large coral exhibition, the petting pool and many other attractions at your own pace. You can also use the amazing opportunity to visit the nearby Playa de Palma beach. 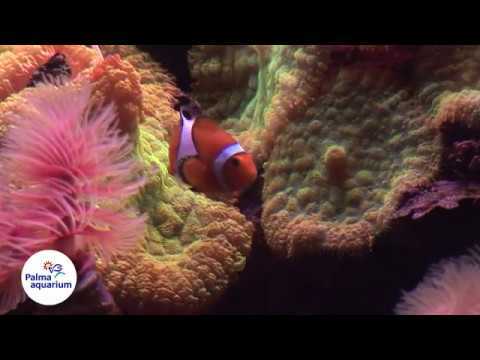 The Palma Aquarium tour then takes you back to your hotel just in time for dinner. Depending on the pick-up location, you will picked-up near to the hotel to start your Palma Aquarium Tour. Enjoy the trip through dreamy villages where almond and olive trees are ten a penny. During the excursion to Palma Aquarium, you will have 6 hours free time, wander around at your speed. Walk through the tunnels below the deepest shark tank in Europe “Deep blue” and come face to face with the sharks. Enjoy the largest living coral show, touch the sea creatures in a special pool and help to find Dori and Nemo. You will even come across a jungle in Palma Aquarium. Take great pictures in front of the waterfall. Join the feeding of the rays, sharks and turtles, or relax on one of the large cushions with great views of Palma Aquarium. Magnifying glasses in front of the smaller aquariums ensure that you get a better look at the smallest sea-dwellers. If you dare, you can even dive and swim with the rays. On the Palma Aquarium tour, you can eat something on site and let the kids let off their steam at the play park. If you feel like drifting off, go and relax on the nearby beach. After an exciting day at the Palma Aquarium, you will return to your hotel in the afternoon, where you will be back in time for dinner. The aquarium is worth the price! Children can spend the whole day here. My tip: Visit After lunch the feedings with the sharks, turtles, rays and Kois. Booking through Sunbonoo was reibunglos, a day after booking we got the tickets and pick-up times. Das Aquarium ist seinen Preis wert! Mit Kindern kann man hier den ganzen Tag verbringen. Mein Tipp: Nach dem Mittag die Fütterungen bei den Haien, Schildkröten, Rochen und Kois besuchen. 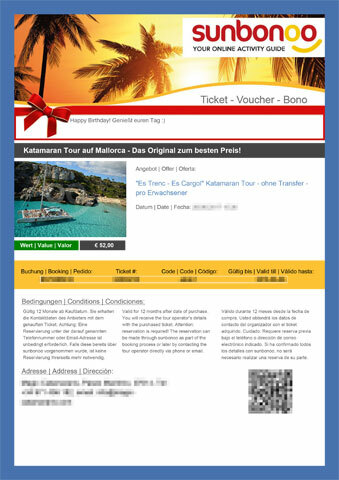 Die Buchung über Sunbonoo war reibunglos, einen Tag nach Buchung haben wir die Tickets und Abholzeiten bekommen. and the most beautiful that I have ever visited. While a steep price but it was on offer a lot. Something to entertain plus Artgerecht has its Preis.m particularly the transfer was praktiksch and well organized to also Alcudia how to get in our case, to the aquarium at the Playa de Palma. A day trip is worth it especially for families with children! In outdoor area is for children an entertainment program and a large playground available, so that even with the little ones the Aqaurium to highlight is halfway. und das schönste, das ich bisher besucht habe. Zwar ein stolzer Preis aber dafür wird einem auch eine Menge geboten. So etwas zu unterhalten und dazu noch Artgerecht hat seinen Preis.m Besonders der Transfer war praktiksch und gut organisiert um auch von Alcudia, wie in unserem Fall, zum Aquarium an der Playa de Palma zu kommen. Einen Tagesausflug ist es wert besonders für Familien mit Kindern! Im Außenbreich ist für Kinder ein kleines Animationprogramm und ein großer Spielplatz vorhanden, sodass auf halber Strecke auch mit den Kleinen das Aqaurium zum Highlight wird. You're reviewing: Terrific Tour to Palma Aquarium in Mallorca with plenty of pick-up points. How do you rate this product?